Released the same year as Dracula, Frankenstein marked a pivotal moment for the then-budding horror genre. 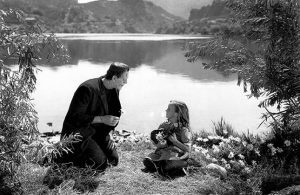 In sharp contrast to Dracula’s purely malevolent vampire, the central monster in Frankenstein is almost entirely sympathetic. While quite different from the Mary Shelley novel that it is based on, 1931’s Frankenstein is still held in very high regard and generally considered the definitive version of the story. The story is centered around a young doctor named Henry Frankenstein who becomes obsessed with using science to unravel the mysteries of the universe. Against the will of his best friend, Victor, and fiancee, Elizabeth, Frankenstein isolates himself with his boneheaded, hunchbacked assistant, Fritz, so that he can focus on his macabre experiments. Grave-digging, corpse dismemberment, and literal brain theft ensue, and the ambitious doctor eventually succeeds at reanimating dead tissue, creating a monster made of body parts from various corpses. Controlling the monster, though, proves to be more complicated than Frankenstein had planned. 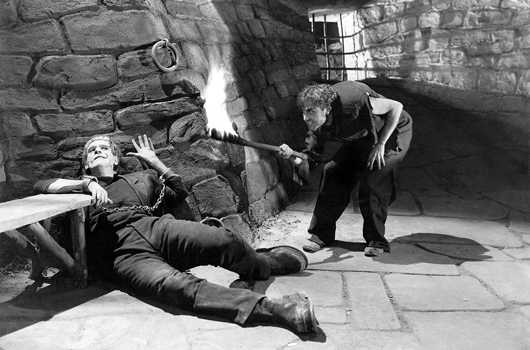 The gothic horror at the heart of Frankenstein is made apparent from the very first scene, which is set in a dark and foggy graveyard. Whether it’s the German countryside, an imposing stone tower, or even Frankenstein’s own mansion, each set is imbued with remarkable personality that conveys a sense of foreboding matching the tone of the story. The cinematography is astounding and set a high bar for gothic horror movies to come. Aside from a couple editing hiccups, the film is technically splendid all-around, and is mesmerizing to watch. 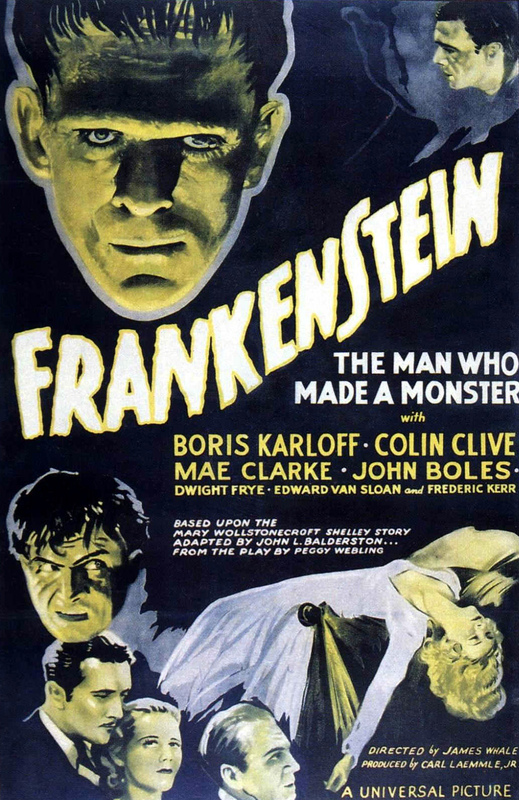 A character as sympathetic as Frankenstein’s monster needs to be portrayed by an actor capable of a nuanced, physical performance, and Boris Karloff hits it out of the park with his performance, which alternates between sad and frightening. The excellent makeup deserves praise to be sure, but Karloff’s eyes alone convey innocence, confusion, and rage so perfectly that his performance stands out even compared to those of legends such as Lon Chaney and Bela Lugosi. The monster’s cries as he is being tormented by the sadistic Fritz are heartbreaking, as is his confused reaction after accidentally drowning a little girl. The rest of the acting is hit-and-miss, with a heck of a lot of British actors pretending to be German and half the cast sounding like Stewie Griffin from Family Guy. The popularity of the Frankenstein story has endured not because of its spectacle, but because of its philosophical complexity – something the abysmal adaptations of the last decade (never, ever watch I, Frankenstein) ignore for the most part. More recent filmmakers have focused on action and style when they should focus on the key themes of ambition and responsibility that define the tragically flawed doctor and his unfortunate creation. Frankly, Frankenstein deserves better, and hopefully the “Dark Universe” reboot of Bride of Frankenstein can deliver. Fun Fact: Bela Lugosi was originally offered the role of Frankenstein’s monster, but turned it down because he believed it an insult to his acting credibility. Memorable Moment: A newly-born monster excitedly reaches toward the sky upon being shown daylight for the first time, only to have his brief moment of elation snatched away by Doctor Frankenstein.